Former President George H.W. 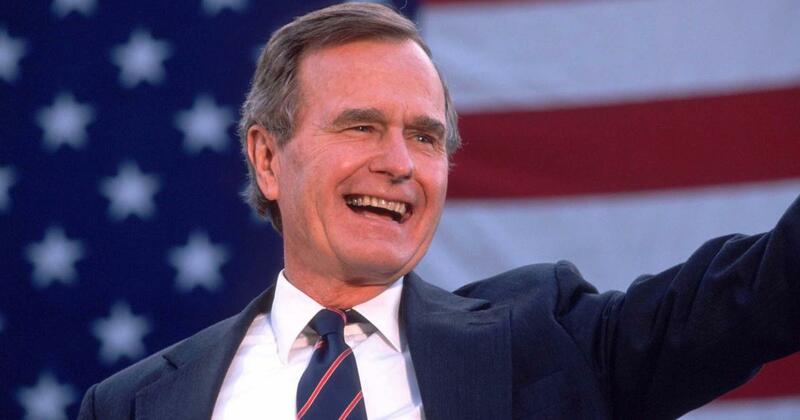 Bush, who died late Friday will receive a state funeral at the National Cathedral in Washington, DC. President Trump will designate Wednesday as the national day of mourning, White Sarah Sanders, secretary of the house press. The White House has already lowered its flag in honor of the former president. Sanders said Mr. Trump and First Lady Melania Trump would attend the funeral. The White House also issued a proclamation stating that the American flag should be flown to half staff in the White House and on all public buildings and facilities, at all military and naval stations, on all naval ships and US consulates, and embassies abroad for 30 days. Bush is expected to be in the Capitol before his funeral. According to his website, the Bush family is working with the US Department of Defense Task Force to make arrangements for the funeral. Bush is expected to be in George H.W. Bush Presidential Library in College Station, Texas. Exact dates and dates for Texas and Washington ceremonies are not yet available. Senate Majority Leader Mitch McConnell announced that Bush's body would be in the Capitol at 3:00 pm on 3 December. until 5 December at 7 am ET. Global News Canada reported that former Canadian Prime Minister Brian Mulroney will give a laudation at the funeral of Mr. Bush. Trump did not attend the funeral of his wife, former First Lady Barbara Bush, in April of this year, although First Lady Melania Trump was present. The Last The largest burial in Washington was that of US Senator John McCain a vociferous critic of Mr. Trump. The president did not attend the funeral of McCain, where former Presidents George W. Bush and Barack Obama spoke. It is unclear how the former presidents will react to Mr Trump's funeral at Mr Bush's funeral. Mr. Trump agreed to lift Mr. Obama's heir and defeated Clinton's wife, Hillary, in the 2016 presidential election. The elder Bush was also not a Mr. Trump fan, according to an May 2016 interview with Mark K. Updegrove in his book "The Last Republicans". He said that he thought Mr. Trump was driven by a "particular ego" and that he "did not like Mr. Trump." "I do not know much about him, but I know he's a direct hit." Mr. Bush added. "And I'm not too excited that he's a leader."